This world can be a brutal one, people’s intentions are often not as pure as they may to lead you to believe. Many in this world attempt to get ahead in life by manipulating those around them to their advantage. These individuals intentionally create an imbalance of power and exploit victims to serve his or her agenda. 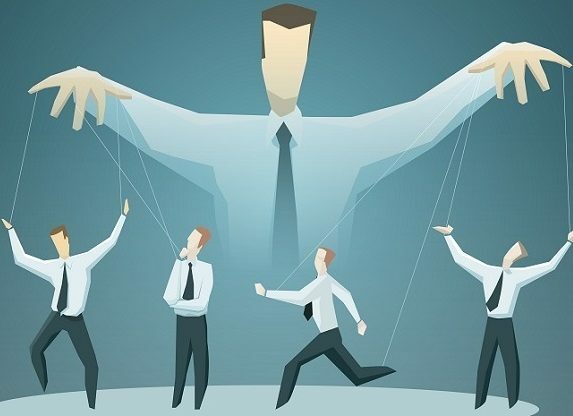 Some people fall prey to these types of individuals far easier than others, its important to recognize if your social tendencies make you more susceptible to their manipulation. Are you a person who can resist their pull? Most people take the respect that is given to them and assume it’s what they deserve. You however know your worth and are able to recognize when your rights and standards for how you should be treated are being violated. 2. You aren’t afraid to express your opinions & needs. You are able to clearly state what you require from others, your own life is your first priority and you know when to speak up to get these needs met. You are able to communicate with such ease, you more than often meet those needs. 3. You set your own priorities. People often get caught up in what others want them to do, as a result they are often forced into something that isn’t right for them. You however, have the ability to focus on your own life. While you sometimes will help others when it is appropriate, you never make other peoples drama your priority. 4. You aren’t afraid to say no. You aren’t scared to tell someone when you are uncomfortable or unwilling to do something. Peer pressure just isn’t an issue for you, while you respect others, you don’t feel the need to comprise your own desires to fit in. Manipulators will often insist on violating boundaries and testing just how far they are able to push others. You set boundaries and articulate the consequences of crossing these lines; compelling those attempt to manipulate you to shift from violation to respect. Manipulative energies seek out passive people that they can control. You are the farthest thing from this. You have a clear path set in life and you are gonna follow it to the end. It doesn’t matter the types of trials and difficulties you meet during your journey, you will persevere through thick and thin. 7. You use time to your advantage. Its easy to be intimidated and taken advantage of when someone demands an immediate response in an attempt to put pressure on you. During these moments you instead are able to leverage time to your advantage while simultaneously distancing yourself from his or her immediate influence. Most people would simply take the bait and readily offer the reaction that the manipulator is attempting to provoke. 9. You confront those who try to bully you. Let’s be honest, some people bully others constantly, and most of the time they get away with it. Unfortunately, they’ve ran into the wrong person this time. Not only do you stand up to this negative energy type, you overcome it. You look your would-be abuser in the eye and you tell them off, they won’t be coming back for more. 10. You avoid self blame. Manipulative people seek out those with low self esteem, people who blame themselves constantly are easy targets. You are able to recognize this and know when to take responsibility instead of simply accepting blame when you don’t satisfy the person attempting to manipulate you.